Great income property near old town orange!!! 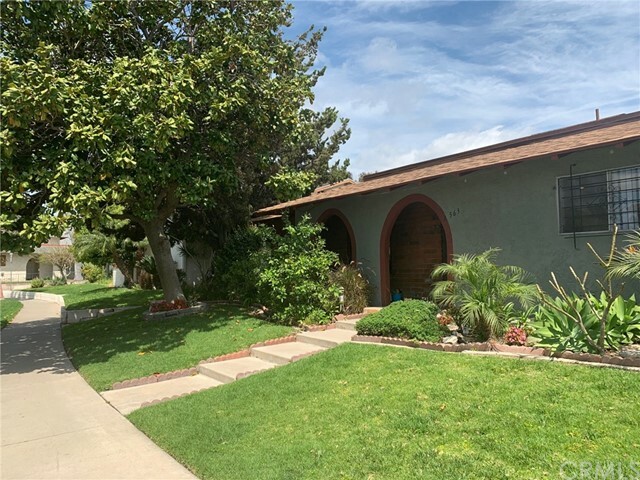 Amazing fourplex located around the corner from the highly sought after area of old town orange and the 5 & 22 freeways. Walking distance from choc hospital, main place mall and chapman university. This beautiful fourplex has (3) two and (1) three bedroom floor plans and has plenty of parking with 4 single car garages, 1 assigned parking spot and plenty of street parking. Unit a (3bed/2bath) has washer/dryer hookups inside the property, and there is also a coin laundry facility on the premises. This building has been beautifully maintained and is the pride of the neighborhood! 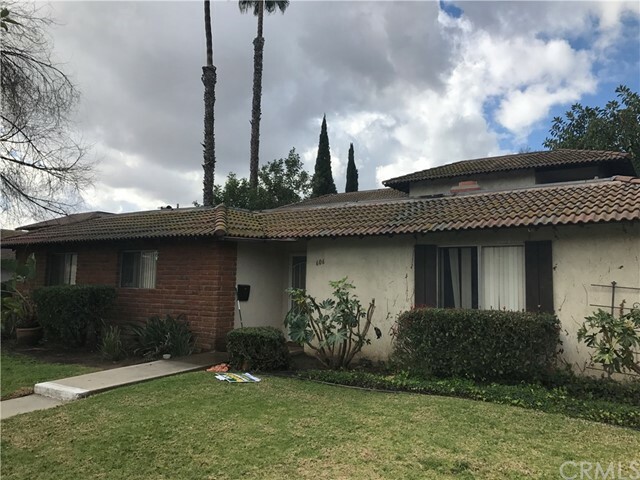 Great multifamily neighborhood location in the city of orange. 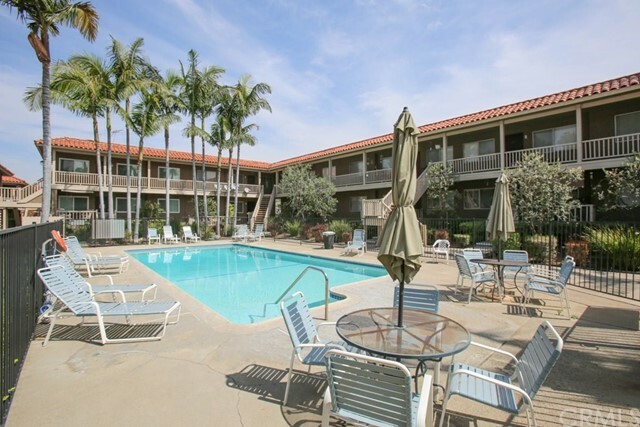 Centrally located with easy access to 55 & 22 freeways. Walking distance from shops and restaurants. Great location, rarely on market. Unit a & d recently remodeled. Strong unit mix consisting of: two 3 bedroom 1. 75 bath, one 2 bedroom 1. 75 bathroom and one 1 bedroom, 1 bathroom. Walk score of 58, transit score of 34. Value add opportunity! Great multifamily neighborhood location in the city of orange. Located around the corner from the highly sought after area of old town orange. Centrally located with easy access to 5 & 22 freeways. Walking distance from main place mall, choc hospital and chapman university. Parking consists of 4 single car garages. Onsite coin laundry facility on the premises. Strong unit mix with one 3 bedroom and three 2 bedroom units. Great location near freeways, major employment centers. Welcome home to stonewood in orange. 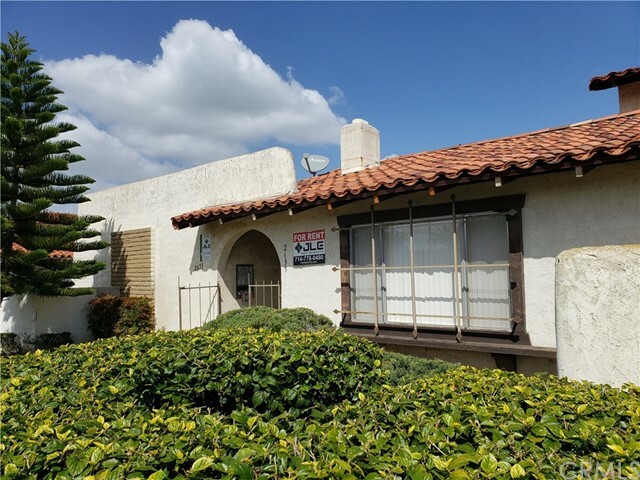 This single level 2 bedroom 1 bath condo, with no one above or below, is located toward the back of the community in a quiet location overlooking the pool. You walk up the steps to your spacious patio/balcony and into your new home. The minute you walk into this unit you will want to make it your own! 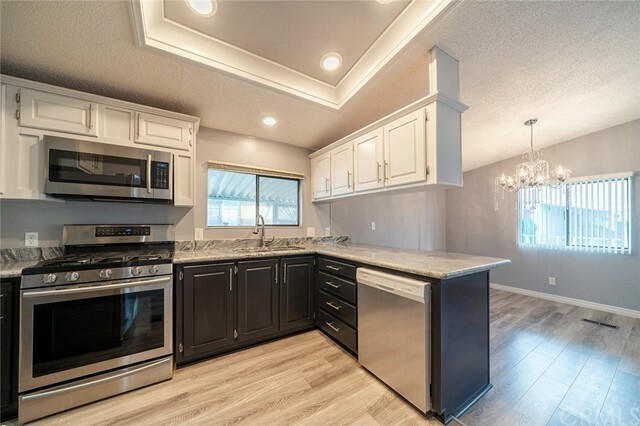 You will love the open floor plan and all upgrades which include; wood laminate flooring, remodeled kitchen with quartz countertops, beautiful new vanity and tile in bathroom, new windows, designer paint color throughout new patio decking and a new ac. The master bedroom is large and has an amazing walk in closet. 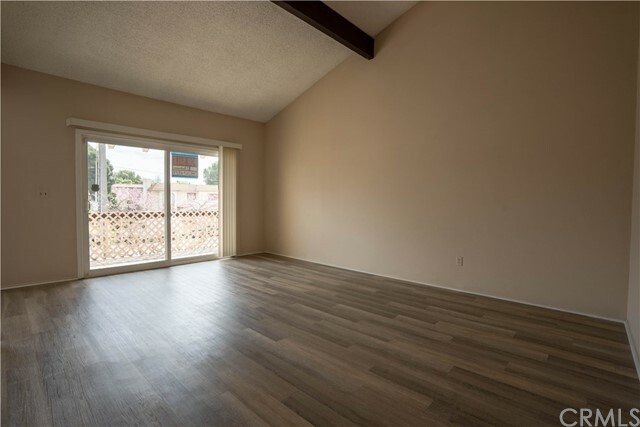 This condo is conveniently located to metro link station, freeway's 57,91,22,55,5, chapman university, shopping centers and entertainment, the honda center and anaheim stadium and near the historic orange circle and much much more. Schools are taft elementary, cerro villa middle school and villa park high school. 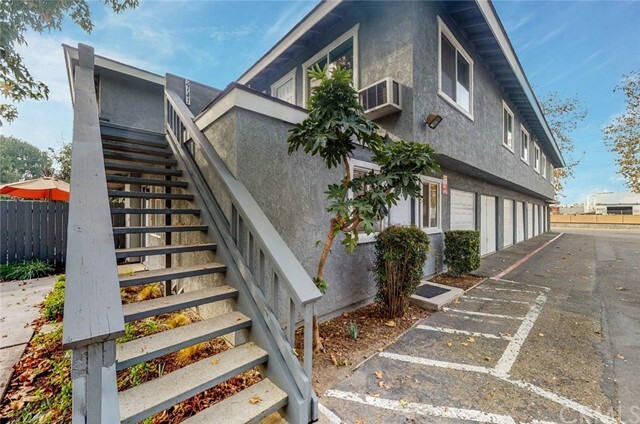 This would be a great place to call home for first time home buyers, families and or a great investment for parents of a chapman college student. Hope you will visit soon! This beautiful place won't last!!!! Va approved unit !!! Listing Agent: Damon Cohen Listing Office: Purplebricks Realty Inc.
Beautiful condo located in the la veta monterey community. This upstairs unit has 2 bedroom and 1 & 3/4 bathrooms. The spacious living room features vaulted ceilings and has direct access to a large outdoor balcony. The master bedroom has a large closet and its own private 3/4 bathroom. The second bedroom is a generous size and features a nice walk in closet. The unit also features central air conditioning and heat. This unit includes a nearby assigned parking post and is close to guest parking. Community features 2 swimming pools and jacuzzi, clubhouse, and playground. Walking distance to choc & st. Joseph’s hospitals, old town orange and main place mall. Easy access to all major freeways - 22, 5, 57 and 55. Public bus stop right is steps away. Cute 2 bedroom, 2 bath turn-key condo! Upper unit with private balcony is ready for you. Neutral paint, tile floors & carpeting welcome you home to this bright unit. Pitched ceilings bring extra light into the unit & emphasize spaciousness. Upon entry you are instantly greeted by a bright open floor plan. Kitchen opens to a spacious nook with a nice sitting window & the nook opens to family room giving you the open concept design so sought after. Kitchen has an abundance of white cabinetry & storage, stainless steel appliances; gas range, microwave and dishwasher. Stainless sink has plenty of counter area surrounding it for prepping. Cool gray custom paint & marbled designer corian counters add style & modernization to this quaint unit. Dining area is spacious & a picture window offers trees views & again ushers in natural light. Head into the living room which is oversized with pitched ceilings, this room is open & ideal to relax after a full day, sliding doors lead to your private balcony. Guest rooms are both ample in space, neutral carpet and paint, mirrored wardrobe closet, rooms are private with access to the updated baths with a step-in shower in one bath & a full bath and tub with custom vanity & mirror in 2nd bath. The community of la veta monterey offers an association pool & spa for residents. This family community is centrally located to the 5 & 22-freeways along with main place shopping and dining. An amazing opportunity to own this charming unit! Located in la veta monterey condo complex, upstairs unit, 1 bedroom 1 full bath, 596 sqft of living area, new bedroom carpet, newly painted throughout, new central air and heat system and new dual paned bedroom window. Refrigerator is included. Close to everything, walk to st joseph hospital, choc hospitals and short distance to westfield shopping mall. Easy access to freeway 22 , 55 ad 57. There are 2 pools and a jacuzzi and 1 assigned covered carport. The gas, water and trash are included in the rent. There is also a guard patrolling the complex 24/7. Incredible condo in the casa la veta community - excelent location, easy access to 22, 55, 57, 5; near the main place mail, old town orange, st. Joseph, choc hospitals, chapman university,. Everything you need is within 1 miles radius. The casa la veta offers nice amenities such as swimming pool, clubhouse, bbq area, nice garden throughout,. This is a desirable upstairs unit with 1 bedroom, 1 bathroom, and 1 car detached garage and 1 permit parking at community parking area. Open, light and bright floor plan, neutral paint colors, new laminate flooring at living room and master bedroom, crown molding,. Move in condition! Take advantage of this incredible low price and low interest rate! The home is located in the senior community of orange village with an open clubhouse, sparkling pool, equipped with two pool tables and gym in the recreation room, a huge tv in the puzzle room, kitchen and bingo/meeting area open for rental for events and park laundry facility. A convenient side gate to access the shopping mall adjacent to the park, dine, shop and bank with a mere few minutes walk. Small shed at the back. Low space rent. Move-in ready, recently renovated, gorgeous inside! Huge master with walk in closet, bathrooms has shower and tub. A lot of storage in the kitchen and laundry room, stainless steel kitchen appliances, bright and open dining and living area. Listing Agent: Michael Capobianco Listing Office: Fathom Realty Group Inc.